This event was a few weeks ago now, however I wanted to wait for the video to be uploaded in case anyone wanted to watch it. 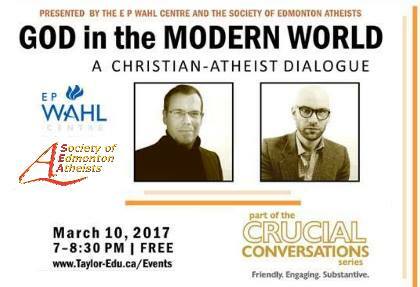 This was an event sponsored by the Institute for Christian Studies and Society at the University of Concordia. Rabbi Daniel Friedman (Beth Israel Synagogue), Reverend Jim Gimbel (President, Concordia Lutheran Seminary), and Dr. Doris Kieser (St. Joseph’s College) were the guest speakers and the event was public and announced via facebook. A friend invited me, so I decided to go. Before the presentation even started a lady sitting in front of us was handing out some pamphlets from the Euthanasia Prevention Coalition. The pamphlet, Caring Not Killing, can be viewed on their website. With close to 60 people in attendance, I suddenly was very aware my friend and I would be alone in our views that PAD was a human right, should remain legal and was the compassionate way to allow people to end their lives if they so chose to. (e) permit persons other than teachers to provide religious instruction to its students. 137 No religious instruction except as hereinafter provided shall be permitted in the school of any district from the opening of such school until one half hour previous to its closing in the afternoon after which time any such instruction permitted or desired by the board may be given. (2) It shall however be permissible for the board of any district to direct that the school be opened by the recitation of the Lord’s prayer. C.O., c.75, s.110. section or on remaining without taking part in any religious instruction that may be given if the parents or guardians do desire. A Court of Queen’s bench judgement out of Saskatchewan on April 20th regarding non-Catholics attending Catholic schools raised more questions for me than answers, so I phoned up Luke Fevin, one of our board directors but also founder of the secular rights education group APUPIL, to go over some things with me so I could understand it better. Is Homophobia a Product of Religion? The terrible events of Orlando, followed immediately by the detention of a heavily armed James Howell en route to the LA Pride celebration have once again catapulted the discussion of homophobia and it’s origins to the fore. What role if any, does religion have to play? The Society of Edmonton Atheists have been asked to participate in the Festival of Faiths event happening tomorrow at City Hall from 10:30am until 4pm. Please drop by and enjoy the exhibits at this free event. There will be numerous groups with information booths for your perusal, as well as a few panel discussions including one at 11:15am on the persecution and discrimination of minority religions (we are included in this panel discussion). We would like to thank the John Humphrey Centre for Peace and Human Rights for inviting us to participate. In case you missed it this morning, one of our Directors, Luke Fevin, was on the radio with Ryan Jespersen of 630 CHED at 9am. You can still listen to their great conversation! Luke is the first guest, and there are more listener comments at the 27 min mark after Luke is gone.